A view of the crowd of people in attendance for the PALS Purse Bingo. Some of the purses won in the forefront. Some of the many tables with ladies playing Purse Bingo. Lucy Webb from Otway showing off her new purse that she won. “I need a new purse” — A saying you can hear from every woman at one time or another. The Portsmouth Area Ladies (PALS) had just what women want recently when they held their annual Purse Bingo event. For at least 400 excited women, it truly was the place to be for the afternoon. Fun seemed to be the fare of the day, as women left and right were laughing and smiling all afternoon. Anxious ladies were waiting when the doors to the SOMC Friend’s Center opened, and the games began just an hour later with a full house. Along with the 15 games of Bingo, where winners received a new designer purse from companies like Michael Kors, Coach, Dooney & Burke, Kate Spade and many others, there was so much more going on that women of all ages could enjoy. Adding to the chance of winning a new designer purse, there was a Chinese auction held for some beautiful, gently used purses that could be won. For those who may still not have won anything, there was a Split the Pot, with more than $800 being split. The event included several vendors, such as LulaRoe vendor Kristie Malone-Boger, who had not just leggings, but also dresses and so many shirts, all of which were marked down just for this event. Some of the other vendors with some delightful offerings were Thirty-One, Lipsense Senegence, Pampered Chef, Paparazzi Jewelry, Scentsy, Longaberger and Mary Kay. And if that didn’t suit the fancy of those assembled, there were some absolutely scrumptious sweets and confections from First Class Sweets & Confections, as well as Jett’s Gourmet Popcorn. PALS also offered a concession stand with hot dogs, chips, drinks and coffee to keep participants’ energy stoked while playing the competitive Bingo games. Throughout the afternoon of games, growing anticipation was apparent as each game became close to a Bingo, and there were several “false” exclamations due the excitement of winning a purse. And, then when each true Bingo was claimed, a unison “awe” was audible as the ladies realized they didn’t win that round. Bingo was played in several different game types, like B’s and O’s, Crazy C’s and Six-pack Bingo to keep everyone on their toes. At the end of the Bingo games, PALS had an overwhelming amount of door prizes to give away. There were designer purses, designer billfolds, gift certificates, gourmet popcorn, Thirty-one, Tupperware and so much more to please anyone whose name was drawn. “We raised $13,000. We will give the money back to organizations that make our community a better place to live,” said PALS president Mary Arnzen. PALS engage in fundraising events and activities using volunteers to support charitable needs and organizations that will improve the quality of life and the changing needs of the residents in Portsmouth and the surrounding area. PALS cooperates with other not-for-profit organizations when appropriate, and addresses the needs of community children not being met by other organizations. PALS is a 501(c)(3) organization. Good fun for the women of the community is sometimes difficult to find, but this annual event is one of the best, because, even if you didn’t win anything, it was still so much fun, and any money spent was well spent, as all of the money goes to such good causes. PALS is one of the best around to spread money throughout the community, and doesn’t ask for anything in return. The group’s “pat on the back” comes not only in the giving of their money, but also in bringing so many together to just have fun. 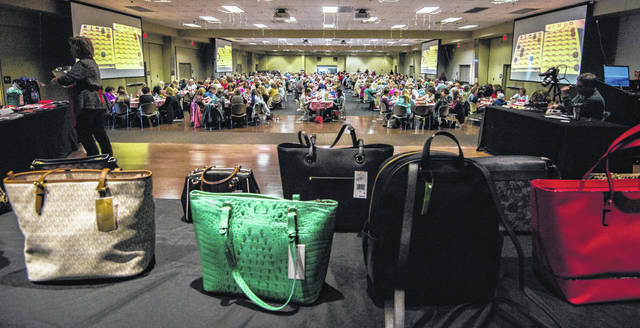 https://www.portsmouth-dailytimes.com/wp-content/uploads/sites/28/2018/03/web1_pursebingo.jpgA view of the crowd of people in attendance for the PALS Purse Bingo. Some of the purses won in the forefront. 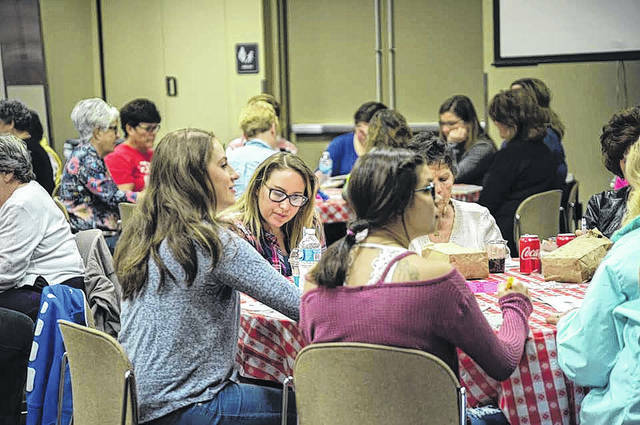 https://www.portsmouth-dailytimes.com/wp-content/uploads/sites/28/2018/03/web1_tables-bingo.jpgSome of the many tables with ladies playing Purse Bingo. 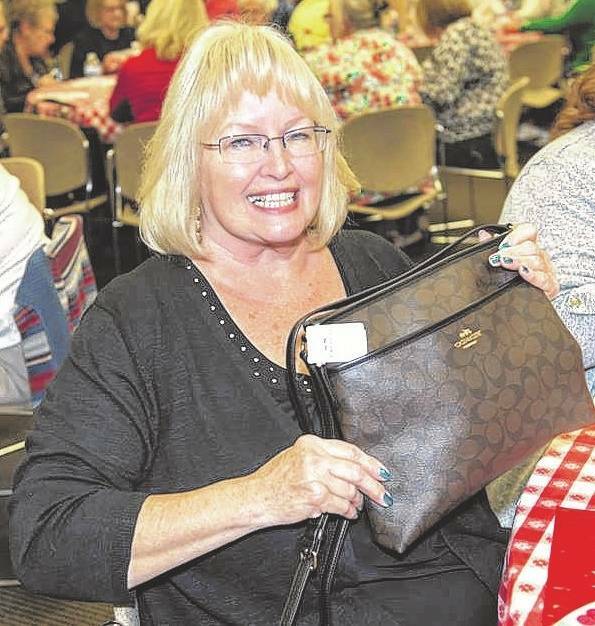 https://www.portsmouth-dailytimes.com/wp-content/uploads/sites/28/2018/03/web1_Purse-winner.jpgLucy Webb from Otway showing off her new purse that she won.